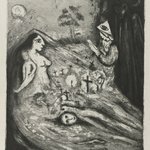 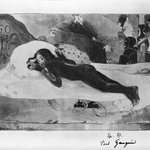 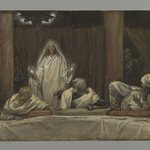 While the scenes of the Crucifixion examine the precise mechanics of the execution, lending a credible veracity to the ancient events, this image takes a more mystical or fantastical approach. 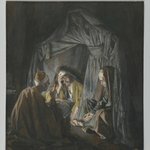 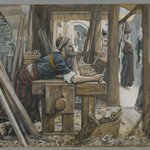 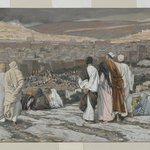 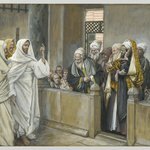 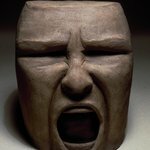 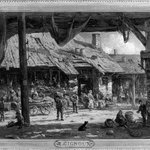 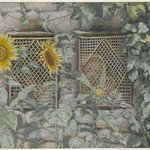 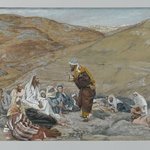 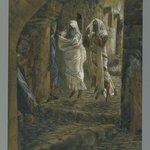 Immediately after the death of Jesus, Matthew writes, tombs broke open and the bodies of many holy persons who had died came back to life, went into the city, and showed themselves to the people. 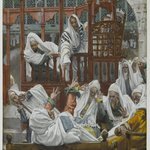 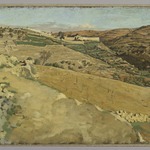 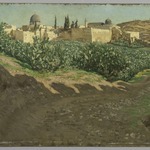 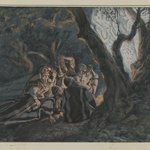 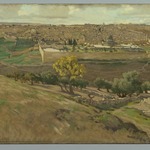 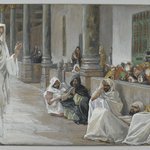 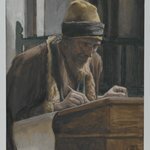 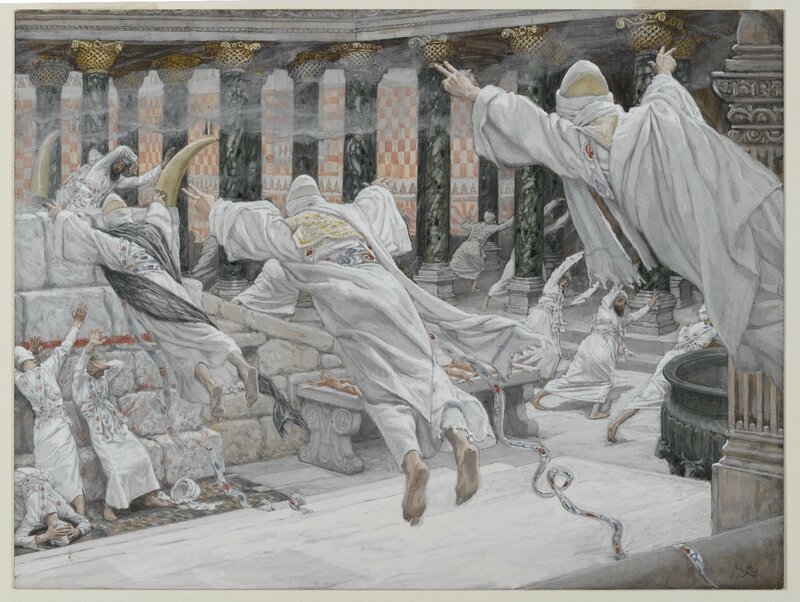 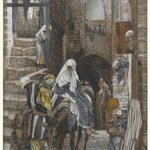 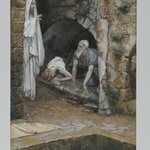 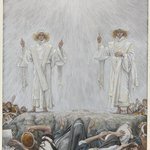 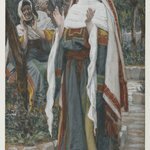 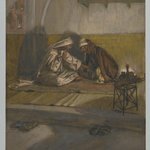 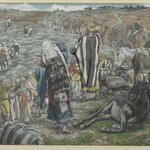 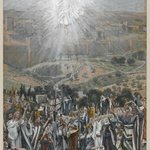 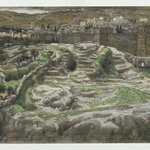 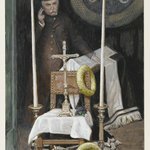 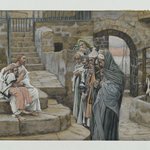 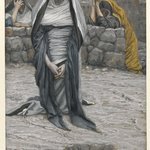 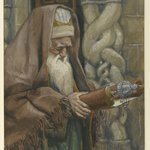 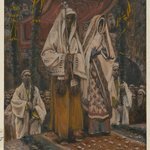 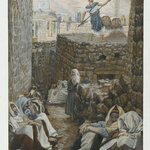 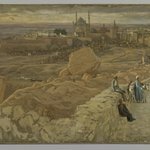 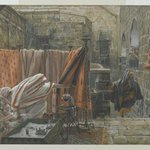 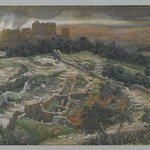 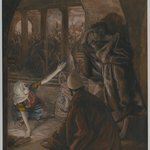 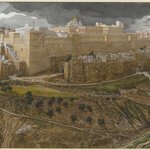 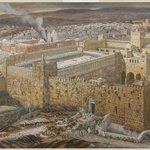 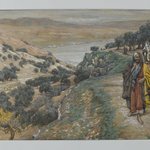 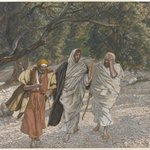 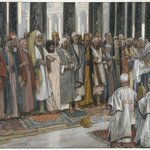 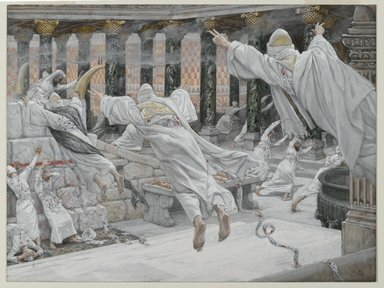 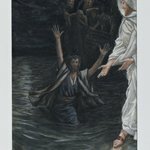 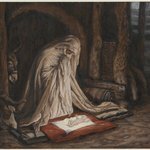 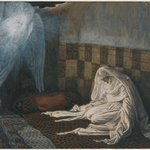 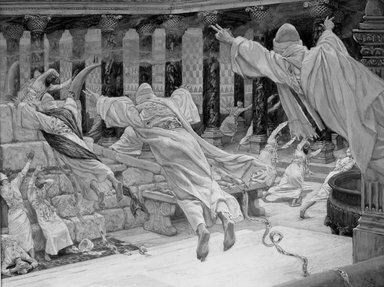 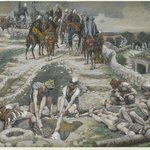 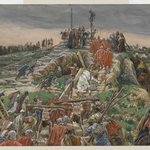 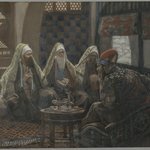 Tissot paints the risen dead as spectral forms, flying through Jerusalem and the Temple precinct, scattering the living, who fear that contact with the dead will defile them. 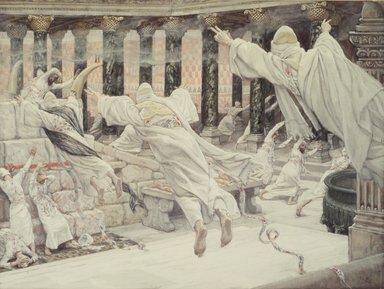 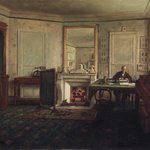 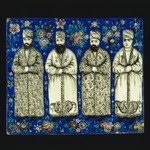 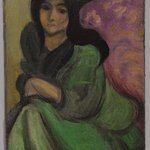 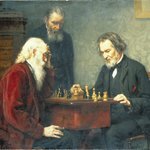 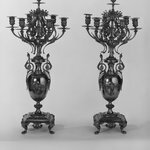 In the Temple, resurrected priests, garbed in the costume of their rank, fly through the court, rising like the smoke from the altar of burnt sacrifice.